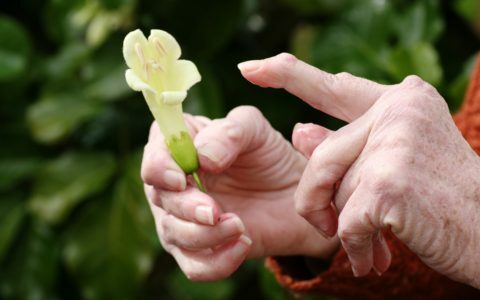 Zaf Naqui | Rheumatoid Arthritis in the Hand, Wrist and Elbow. Mr Naqui lectures on the Rheumatology Masters Degree programme at the University of Manchester. It may lead to damage of the cartilage that lines joints. Cartilage is important as it allows for smooth painless movement of a joint. When there is loss of cartilage in arthritis this leads to pain, stiffness and swelling. Most people are aged between 30 and 60. There maybe a family history, but not always. More women suffer with it than men. Patients may experience pain, swelling and stiffness in the joints. Grip strength is often reduced. Pain can be felt when attempting to stress the joint such as when getting out of a chair. Arthritis pain is typically described as a dull ache and is often worse on a cold, damp day. In early disease you may have symptoms for just 6 weeks affecting one or two joints. Morning stiffness is typical and can last for 30 – 60 minutes. Other symptoms include, tiredness, skin nodules, breathing difficulty, anaemia, dry eyes and mouth. The first step is to undergo a consultation, involving a medical history and clinical examination. Mr Naqui usually organises further tests such as blood tests, x-ray, CT or MRI scan. These may help to identify the extent of any arthritis and the quality of the cartilage. 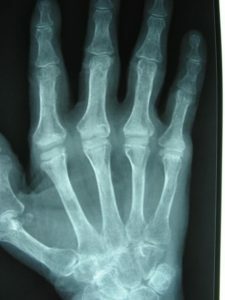 The gold standard management of this condition is co-ordinated between a rheumatologist, hand surgeon and hand therapist. Treatment will depend on the extent of arthritis. Initially conservative measures will be explored first including disease modifying medication, pain relief medication, splints, hand physiotherapy. Debridement of the joint (cleaning out the joint, removing debris and damaged cartilage) may be performed by key-hole, arthroscopic wrist surgery. 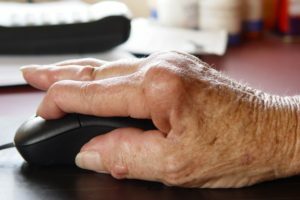 This can also be helpful in assessing the exact extent of arthritis giving far more information than any scan. In severe arthritis salvage surgery may be necessary. This can be either be removing some bones or fusing some bones. In some cases it may be necessary to replace the joint. Sometimes the disease causes nodules which can be painful, these can be removed. Sometimes the disease traps nerves causing carpal or cubital tunnel – these nerves can be released. The advantages and disadvantages of the different options will be discussed with you in detail by Mr Naqui. If having open surgery, the hand will be placed in a splint following the surgery for around 4-6 weeks. Any sutures inserted will be removed at around 10 days. Mr. Naqui and the hand therapist will then provide you with specific exercises to perform to regain strength and movements of the hand and wrist. This will be early on after the operation. Activities which stress the hand and wrist significantly should be avoided for between 6 weeks and 3 months. Driving can safely be resumed at around 6 weeks. Return to work is dependent on the nature of your work but usually expected within 2 weeks if it is non-manual work. You can discuss this with Mr Naqui at your consultation. Pain and swelling are common following surgery, these should settle after a few days with simple painkillers. Infection is rare. Stiffness at the joint should improve if you follow the exercise programme as advised by Mr Naqui and the hand therapist following surgery. Injury to nerves around the wrist may occur during surgery and lead to a feeling of numbness around the scar area. In a proportion of patients restoration of full strength and movement does not occur. 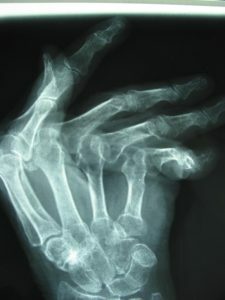 There are specific risks for rheumatoid arthritis surgery including failure of the joint replacements, dislocations and recurrence of disease deformity. If this were to happen then Mr Naqui will discuss further options.